Butter pie plate and fill with sliced apples [5-8, depending on size]. Bake in 350°F oven for 45-50 min. 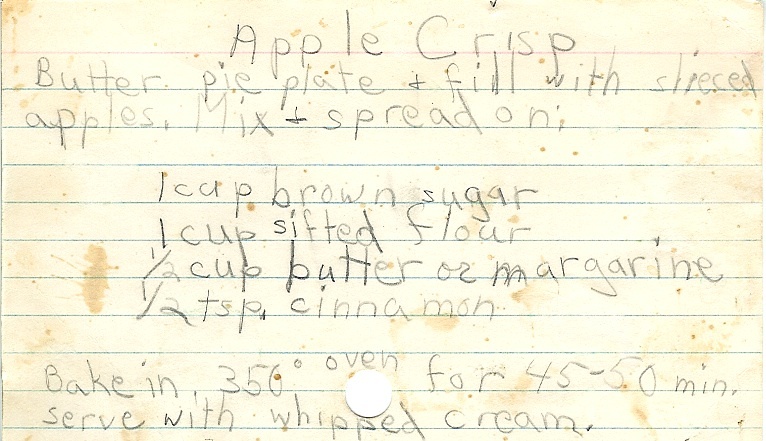 Note: I still prefer my apple crisp like this, without any oatmeal in the crisp. Just warm cooked apples with a sweet crunchy topping.